ATTORNEY BARR FIRST BELIEVED there had to be a better way for attorneys to serve their clients more than a decade ago. This law firm is the realization of that dream. 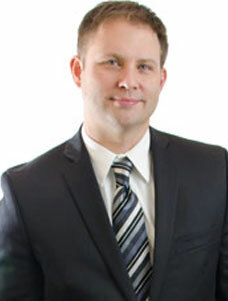 His hard work and dedication to serving clients has let to him being recognized as a “Top 40 under 40″ Bankruptcy Attorney in the State of Ohio by the American Society of Legal Advocates and an “Excellent” rating with AVVO. Contact me today to schedule an appointment. Awarded the distinction of a “2016 Top Lawyer” by Columbus CEO Magazine. Columbus CEO is a monthly magazine that delivers in-depth business reporting on topics that make a difference to Central Ohio’s business professionals. Columbus CEO offers solid coverage of the area’s financial arena with a blend of business-related articles, profiles of movers and shakers, and in-depth reporting of local trends. To be recognized as a Top Attorney by Columbus CEO magazine is a tremendous honor that solidifies Barr, Jones and Associates position in the business sector here in Columbus, Ohio. Nominated as one of the “10 Best” Attorneys for Ohio by the American Institute of Legal Counsel for litigation and disputes. The American Institute of Legal Counsel (AILC) is an impartial third-party attorney rating organization comprised of 5 divisions consisting of Criminal, DUI/DWI, Personal Injury, Family Law and Litigation, Lawsuits & Disputes Division. The AILC compiles an exclusive list of the “10 Best” Attorneys for each State. The “10 Best” designation is a prestigious honor for as Attorney as each Attorney must: Be formally nominated by the Institute, client, and/or a fellow Attorney; Have attained the highest degree of professional achievement in his or her field of law; and Having done so with an impeccable Client Satisfaction rating. Many Attorneys can achieve high degrees of success but this is often times at the expense or satisfaction of the most important person in the case- the client. Membership in the AILC is an exclusive honor and extended only to those selected few who have reached the top of their profession while doing so with the client’s satisfaction being of the most paramount importance. Awarded the honor of one of the “Best Bankruptcy Lawyers” by Expertise Online. Expertise is an online resource with the goal of creating lists of the best local professionals in each US city to give its readers the confidence they need to make the right choice. Expertise grades each business/professional on 25 variables across six judgment criteria including: Reputation: A history of delighted customers as a signal of outstanding service; Credibility: Building customer confidence with licensing, industry accreditations, and awards; Experience: Masters of their craft, based on years of practical experience and education; Availability: Consistently approachable and responsive, so customers never feel ignored; Professionalism: Providing customers a seamless experience both online and off; & Engagement: Actively engaged with their customers across a number of platforms. To be ranked as one of “The Best” the professional/business must be ranked in the top 25% in their filed.